Accessible parking in Five Points South with up to 8,000 sq. ft of event space! From the moment you step inside, or onto one of the magnificent wrap-around porches, you are stepping into an atmosphere of pure Southern charm. This gorgeous hundred-year-old home WITH LARGE OPEN ROOMS, commands a spectacular view of downtown Birmingham, yet it is easy to forget that the convenience of the city is only moments away. 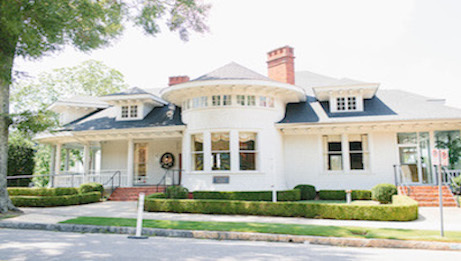 Built by a Civil War veteran in 1900, Rucker Place served as a family home for the first half of the twentieth century. Ready to take the next step? Information for Wedding and Receptions is below.